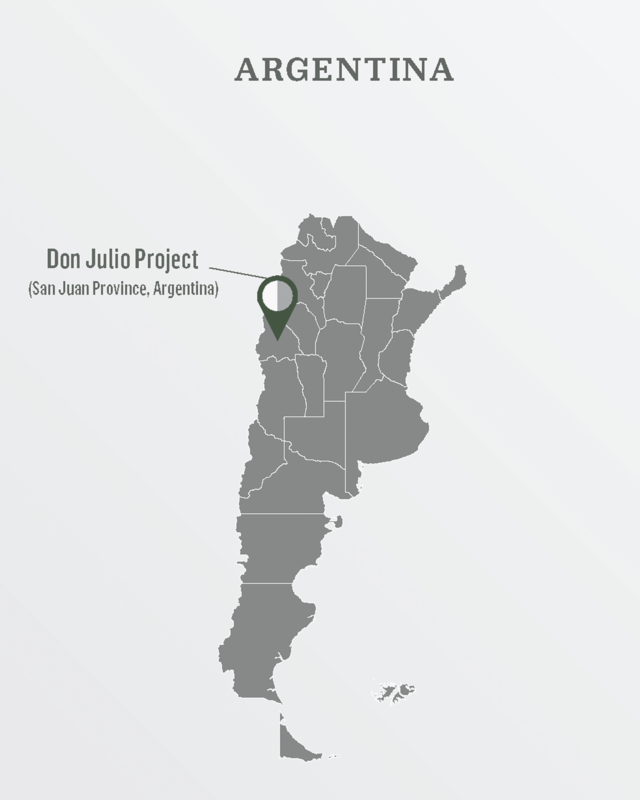 The Don Julio Gold Project is located in the municipalities of Calingasta and Iglesia in the Province of San Juan, Argentina. Road access to the Don Julio project from the city of San Juan driving north for 165 km along the paved road that connects San Juan with the town of Iglesia and then west for 11 km south of Iglesia following the gravel road 431 for 35 km to arrive the project site. The local geology is represented by a large Miocene composite stratovalcano developed over Paleozoic siliciclastic rocks. The lower volcanic unit observed during this visit is a fine grained to aphanitic dark to green andesite with propylitic alteration that is overlaid by a thick volcanic dacitic sequence composed by ignimbrites, lahars, lavas, and domes with argillic, intermidate argillic, and advanced argillic alteration. Small hydrothermal breccia dikes and a large breccia that is probably a large diatreme (and will be call diatreme in this report) cut all the previous lithologies and the diatreme was later covered by subhorizontal laminated rocks observed on the top of the mountains that were not field check during this visit. The upper laminated units could be ash fall material or epiclastic material deposited in a lake formed over the diatreme crater. A major NNE fault is inferred along the Poposa creek with a possible down drop displacement of the western block. 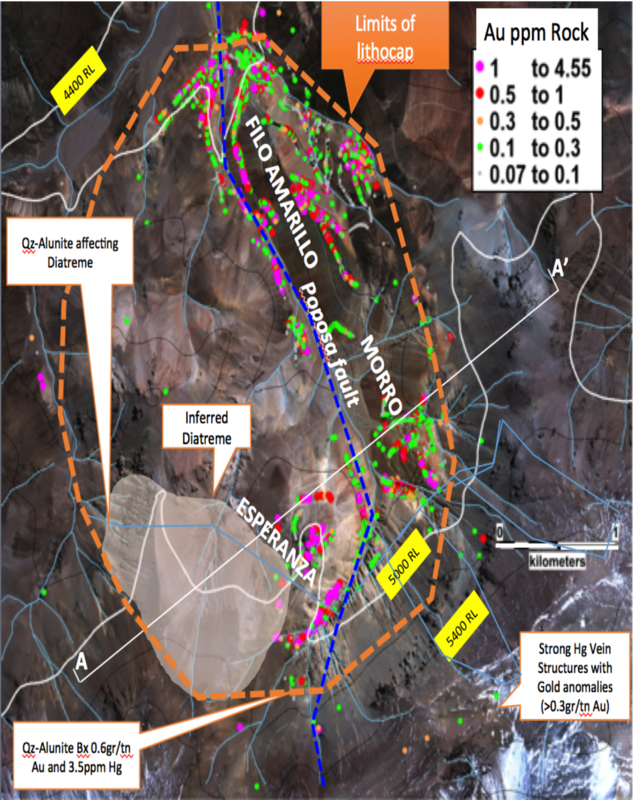 The best-known mineralization at Poposa occurred in sulphide rich veins of high-sulfidation association dominant by pyrite and enargite. The alteration minerals include argillic and advanced argillic alteration assemblage as illite, alunite, kaolinite, dickite, diapore, and pyrophyllite. Comprehensive phase 2 work is planned for Q1, 2018 including preparation of access, trenching, systematic geochemical sampling and detailed geological mapping. Sable has initiated the drill permitting process and depending on results aim to drill 3000m of RC drilling in Q2, 2018.